CLEVELAND -- Two twin brothers recently featured on MTV went under the knife in hopes of looking like Brad Pitt. The brothers, with their hawkish noses, Jay Leno-esque chins and pizza-faced complexions, didn't stand a chance. They came out as two ugly guys with lighter hair. The lesson here? Somebody that ugly who undergoes plastic surgery is still going to come out ugly. Just like a local municipal golf course that tries to become Pebble Beach - nice try, but nah. Try as you might, you just can't duplicate perfection. Fortunately, several golf courses in Ohio didn't try to become something they weren't in the off-season. But they did undergo enough extensive renovation to potentially elicit some oohs and aahs from golfers who return to play them this spring. 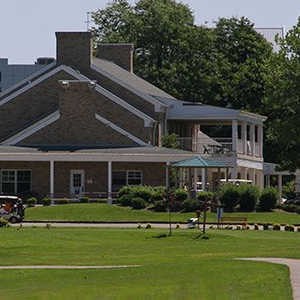 One of those courses is Catawba Willows Golf & Country Club in Port Clinton. The popular 18-hole public course was built on marshlands in the 1970s and consequently has 12 ponds and lakes that come into play on every hole. Needless to say, the rap was that the course was too tough for the average golfer. "Everyone shied away from the course because it had so much water," says second-year PGA Director of Golf Dan Stupka. "Plus, the tee-off areas were too narrow and bunkers were in places where, if aimed away from them and hit a marginal shot, it would go in the water as opposed to just the rough." So what can golfers expect to see at Catawba this spring? First off, there are some new blue tee boxes added to lengthen the course from its original puny length of 5,700 yards to just over 6,000. Linksters also can expect to see trees that look like they were the latest converts to the Atkins Diet. For years, tree trimming had been a foreign concept to maintenance crews at Catawba. Overhanging branches put accuracy at a premium off the tee, some showing only 20-yard-wide gaps to shoot through. Those 20-yard gaps are now a lot wider, and the turfgrass will now be a lot greener as more sunshine can reach it. 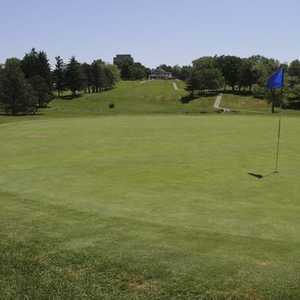 The Sanctuary Golf Club in North Canton has also grown from a boy into a man by adding nearly 2,000 yards to its original paltry length of 4,900. Originally an 18-hole course called Bob-O-Link North with a driving range and par-3 course, it was completed torn up and redesigned by architect Brian Huntley of Beavercreek Golf Club (Beavercreek, Ohio with Fuzzy Zoeller) and Big Horn Golf Club (Palm Desert, Calif., with Arthur Hills) fame. The new course, which is characterized by a rolling layout and linksland-type golf, hardly will be recognized by regulars. New features include new tee boxes and greens, replanted fairways (L93 bentgrass), five sets of tee boxes, 35 sand traps and five entirely new holes. Oh, and the name isn't misleading. It's not only a refuge for golfers but numerous species of wildlife as well. The most exciting development on the West Side of Cleveland is easily the construction of Grey Hawk Golf Club in LaGrange. Set to open in July 2004, this Robert Von Hagge design will not be for the weak-kneed. Measuring more than 7,100 yards from the tiger tees, this semi-private course will feature 10 lakes, 700 newly planted trees, and a ton of bunkers. The 10th hole along will have 25 - count 'em - 25 bunkers alone. Von Hagge's other local design, Red Tail Golf Club in nearby Avon, is also heavily fortified with bunkers, so anyone hoping to conquer Greyhawk should test themselves at Red Tail first. Another similarity Greyhawk has with Red Tail is that it will be part of a golf course community, but Head Golf Professional Tony Casabella says those fearful of putting a Titleist in someone's living room needn't worry too much. "Even though there will be houses around the golf course, a lot of the holes won't have houses on them at all," Casabella says. The course will also feature a 6,700-square foot clubhouse with full-service restaurant and bar, locker rooms (available to non-members, too), bag drop service, driving range, and 15,000-square foot practice putting green with short game practice area.